Manchester City will be hoping to extend their unbeaten run in the Premier League when they travel to Watford on Tuesday night. City, who were 3-1 victors in their game at home to Bournemouth last weekend, will be aiming to make it 15 games without defeat in the Premier League heading into the festive period. Watford will be eager to end a four game winless streak. The Hornets had Etienne Capoue sent off in the closing stages of their 2-0 defeat at Leicester last time out. Here's everything you need to know ahead of Tuesday night's clash. Citizens striker ​Sergio Agüero will be assessed by the club's medical team after missing his side's game against Bournemouth due to a muscle injury. Guardiola has no other fresh injury worries, although Kevin de Bruyne, Benjamin Mendy and Claudio Bravo are all long-term absentees. With the month of December now upon us, it is likely that Pep Guardiola will start heavily rotating his team. Watford have a lengthy injury list, with Adalberto Peñaranda, Pontus Dahlberg, Sebastian Prödl, Tom Cleverley and Younès Kaboul all sidelined due to injury. Etienne Capoue will also miss out after being sent off against Leicester, although Hornets boss Javi Gracia has confirmed he will appeal against Capoue's red card. ​Watford Foster; Femenía, Mariappa, Cathcart, Holebas; Doucouré, Hughes, Chalobah; Pereyra, ​Success, Deulofeu. ​Manchester City ​Ederson; Walker, Laporte, Kompany, Delph; Fernandinho, Gündogan; Mahrez, David Silva, Sterling; Jesus. ​Watford will be hoping to earn their first head-to-head points against ​Manchester City on Tuesday night. The visitors are unbeaten in the eight matches that have been played between the two sides, winning six and drawing two. Last season's corresponding fixture between the two teams saw City run rampant, winning 6-0 thanks to a Sergio Agüero hat-trick. Manchester City have been ruthless at the top of the Premier League so far this season. The last time they dropped points in a domestic fixture was on 7 October, in a 0-0 draw away to ​Liverpool and Guardiola's men have won six games out of six since then. Watford, in contrast, have failed to win any of their last four matches. This record has checked their progress after a superb start in 2018/19. However, a win for the hosts could lift them above ​Manchester United to as high as 6th in the league table. Below is the form for each club in their last five outings. 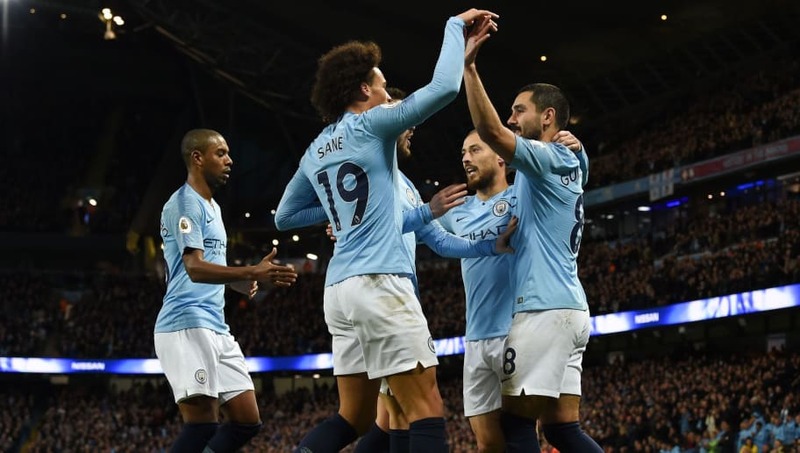 Although football matches are never won on paper, it would be a shock for City if they were to drop points at Vicarage Road, given they have scored three or more goals in four of their last five games. Despite Watford being a tough team to break down at home, as the Hornets showed with their 2-1 win against Tottenham earlier this season, the Citizens possess an abundance of quality that should assure them of a comfortable victory.